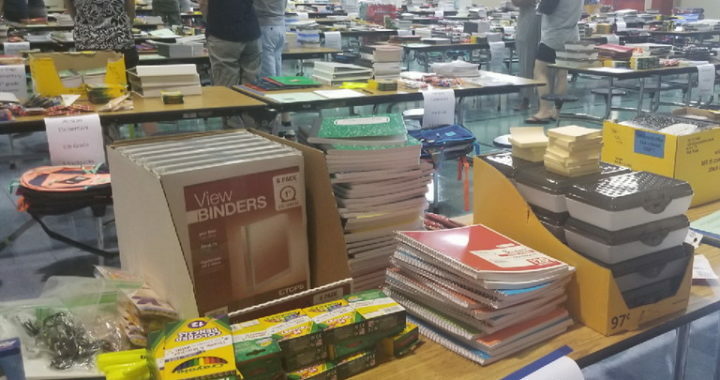 This past Saturday, we joined other community volunteers for the 25th School Supplies for Kids (SS Kids) project at Rainbow Elementary School. Thanks to the great organization of this project, in just a matter of minutes we had filled 367 backpacks with school supplies donated by area churches. These backpacks will be distributed to underprivileged children in elementary schools in Madison City and Madison County schools. 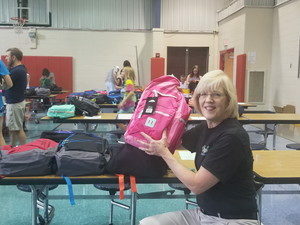 Madison Rotarian Gail LeCroy started this community service program 25 years ago. 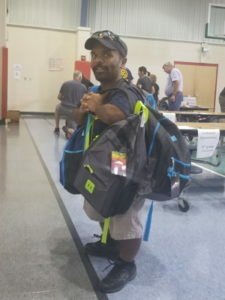 And not only did our own Harsha Rayapati help assemble the backpacks, but he helped transport them. Good help is not so hard to find after all! Posted in Community Service and tagged Community, Done-in-a-Day, SS Kids.